Imagine a DJI drone. It’s an expensive, powerful, covetable gadget that appeals to a certain subset of tech buyers, like people who care a lot about capturing video in specific scenarios. Now picture a much, much smaller version of that; a DJI device that doesn’t fly but still captures amazing, stable video. It’s expensive for what it is. Also, it will appeal to a certain subset of tech buyers, people who care a lot about … you see where I’m going with this. That’s the essence of the Osmo Pocket. 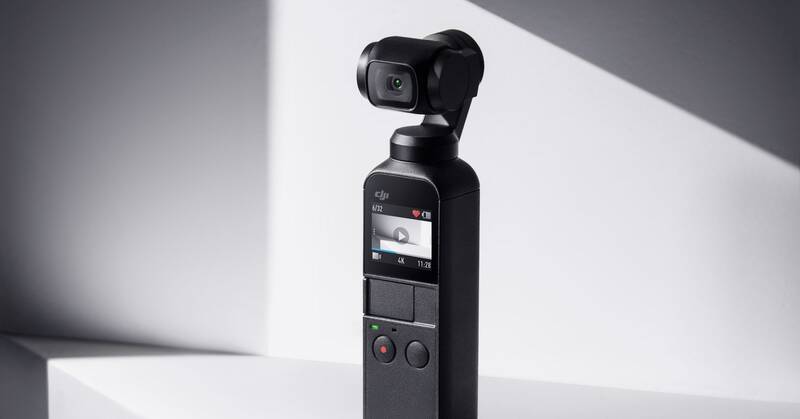 It’s the latest gadget in DJI’s Osmo line of handheld gimbals—tri-axis devices that tilt and pan and pitch along with the person who is shooting video, which helps keep the captured footage relatively stable and free of shakes. Some of these Osmo products support an existing smartphone; others have built-in cameras themselves. The new Osmo Pocket offers both. It also stands out because of its diminutive size, as its name suggests. It’s easily gripable, definitely pocketable. Also: It’s fun. But! (You knew there was a but.) At $349, it’s not cheap. You’ll almost certainly want to buy some accessories, too, if you want to maximize the Pocket. And while the Pocket captures impressive footage and still photos, it’s a bit of a tweener device. It has some of the attributes of a newer GoPro, but its form factor and lack of waterproofing rule out some activities. It supports a smartphone if you just want to shoot video with that; but if you’re going to do that, you should at least consider the much-cheaper Osmo Mobile 2. Speaking of smartphones: The Osmo Pocket feels like it very well could go the way of the Flip, that handy pocket camera that was decimated by emerging smartphone technology. But in the meantime? It’s fun. The Osmo Pocket measures just 4.8 inches tall and weighs four ounces. It feels you’re like holding a thick, rectangular toothbrush in your hand. Except, the head of the Osmo Pocket isn’t a toothbrush. Protruding from the stick is a slim, curved neck and a kind of mini-robot head that houses a 1 and 2/3-inch sensor. This isn’t the same kind of full-frame sensor you’d find in a serious camera, but it’s still a respectable size. The Osmo Pocket captures 12-megapixel still images and, more notably, full 4K video at up to 60 frames per second. You can also attach a smartphone, via Lightning or USB-C, directly to the Osmo Pocket and use DJI’s Mimo app as a live viewfinder. There are also extra controls within the Mimo app, so you’ll probably want to utilize those in certain settings. But the device itself also has a small LCD touchscreen, and after using the Pocket a few times I’m convinced that capturing video on the tiny thing itself is a large part of its charm. The Pocket’s interface is intuitive. Below the LCD screen, there are two buttons, one for powering on and off and toggling through certain functions (three presses on the plain button puts it into selfie mode, for example) and one for recording or shooting a still. There’s also a USB-C charging port on the bottom, and a slot for the microSD card on the side. The Pocket lasts for a couple of hours if you’re shooting HD video; the battery drains significantly once you switch to 4K capture, and the Pocket can get toasty in 4K mode. Swiping through all of the Pocket’s built-in settings is intuitive, too. The first time I used it I went rogue, figuring it out in the car before embarking on a coastal tour to see elephant seals, and experienced minimal confusion using the Pocket. You swipe down on the LCD touchscreen to go to Settings, which is where you’ll enable things like Superfine video mode or Glamour still photo mode (the glamour FX are very real). Swipe up to adjust the gimbal’s settings—like whether you want the Pocket in Follow mode or FPV mode, which will impact how much the Pocket will “follow” you or the subject you’re capturing. Swipe to the side to switch from Photo to Video capture, and vise versa, or to set up a time-lapse or switch things into slow motion. The Pocket’s abilities to follow you or your subject as you’re capturing video is one of its standout features. Both the Pocket and the Osmo Mobile 2 gimbal support “Active Track,” which locks on a subject in the frame and will follow them as they move around. But the Pocket also has face tracking, so it zeroed in on my face as I used the Pocket in selfie mode and followed my head movements. At times, the Pocket followed me so closely that it felt like it was peering at me. This is a dream feature for influencers, who often have to shoot themselves doing cool things (or basic things) in order to feed the social media hype machine; they might not know, depending on their camera rig, if they’re staying in frame or not. But that buttery smooth video—that’s what you’re really getting with a handheld gimbal like this. That trip to see elephant seals, which have their breeding season around this time of year, involved hiking a coastal trail and hoofing it over sand dunes to get to the main event. The 4K, 60 fps video I captured from that day was cinematic in quality and had the kind of professional sheen that shows up in expertly shot videos (and is often lacking from shaky smartphone videos). At the same time, some of the video and stills I shot on that gray, windy day highlighted some of the Pocket’s drawbacks. Some of the still photos were blown out, and there’s no real way to adjust exposure on the device itself. For that, you’ll need to attach your smartphone to it and run the DJI Mimo app, which offers a variety of manual controls. And the built-in mic on the Pocket picked up on all kinds of wind and sharp noises. In general the audio capture is just OK. For more professional sound, you’ll want to use an external mic, which also might mean picking up a USB-C adapter. The accessories you’ll want for the Pocket add up quickly; the wireless module I’ve been using costs $59, and the external controller wheel will cost you the same. The Pocket isn’t waterproof—that alone means it’s not great for your surf sesh, although its form factor might limit that somewhat too—but you can buy a third-party waterproof case for it. The DJI Mimo app has a robust array of features once it’s connected to the Pocket. But it also has its quirks. Thumbnails for the images and videos on my smartphone’s camera roll appeared out of order in the Mimo app, which made importing select clips a nightmare. Despite the Pocket having incredible 4K video capture, the Mimo app compresses those clips before it lets you import them and edit them within the app. Connecting the wireless module, which offers options for both Bluetooth and Wi-Fi, required a couple of app restarts before the Pocket and my smartphone appeared to want to talk to one another. Neither the Pocket nor the app will stream live video either. Which means the Pocket lacks one of the major appeals of capturing video on smartphones, at least for some people. The Osmo Pocket is really occupying a niche space between smartphones and GoPros and much bigger professional cameras—and thanks to software, image stabilization is getting quite good on those devices too. It’s hard to say if the Pocket will take the world by storm beyond the vloggers who have already embraced it. But did I mention that it’s fun?